With all of the hoo-ha of the start of the Premier League I think most of us had forgotten the fact English clubs can’t become embroiled in an end of August transfer scrap on Friday. It’s been refreshing to know that there won’t be any destabilising of players as the season starts. Well, that is until we all remembered that actually, foreign clubs can still take some cheeky punts on players in the English top flight. So concerned have I been with Emery’s start to the season and all of the tactical nuances and halftime subs, I didn’t even think about outbound movement and so when I saw the Reiss Nelson and Lacazette noises it actually surprised me for a few seconds. Reiss Nelson’s transfer/loan was the first bit of news I saw and it had me go from reeling that Arsenal have let a very promising youngster permanently exit the club, to pleased that we might be seeing the makings of him at Hoffenheim if he plays and excels, having signed a new deal at Arsenal and be ready for next season to come back and show us he’s worthy of a start. I guess there’s a lesson there because it was Goal who reported the initial story and whilst Chris Wheatley was the man breaking the news at first (a guy not known for wild inaccuracies and hyperbole), Goal quickly changed their tune from “Nelson Sold” to “Nelson loaned”. It makes sense from an Arsenal perspective. Hoffenheim under Nagelsmann are an impressive outfit, play Champions League football, and hopefully will enable Nelson to continue to improve his footballing education. Arsenal ensuring the contract is inked is the most important thing though. If he signs and heads off to Germany with a “brb” mentality then we’ll all be wishing him well and hoping we get back a more polished diamond. We still haven’t seen that contract signed yet though and given it’s been talked about since April, let’s not get too carried away until we know it’s done, because as we know the players have all of the power and with the help of their agents they are dictating to the clubs how each negotiation will evolve and how much cash they’ll siphon out of the club and in to their coffers. 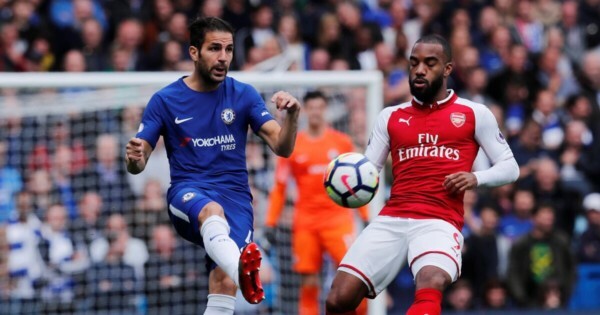 The other news which took me aback a bit was surrounding Lacazette, who one or two of the media sites speculated was about to exit the door this week in search of first team Football. I can’t see it if I’m honest. Firstly, he doesn’t look like a guy whose particularly grumpy and the noises we’ve heard from his side are positive. Secondly, it’s only three games into the season and he’s already seen that he’s got a big part to play, with Emery bringing him on at halftime at the weekend. He will start and he’ll start soon. Thirdly, we signed him a year ago for £55million and we can’t sign a replacement. So what deal could any club do to convince Arsenal to sell? It would have to be so staggeringly large in terms of fee that Arsenal can’t say no. If a club comes in and says “here you go, here’s £90million for Lacazette”, like a Barcelona or Madrid, then perhaps it could happen. But there’s only those two clubs who would probably drop that sort of money – or maybe Bayern or Juve, who have just spunked big on Ronaldo – who could afford such a transfer. And none of those teams are after a striker of Lacazette’s level at that price. It’s English clubs that pay a premium, not vice-versa. Perhaps a Chinese club could do it but I believe they’ve curbed their spending at the moment, so I just can’t see it, which is why I’d be stunned if these rumours were anything other than a bit of guesswork from sections of the media to drum up a little clickage before the transfer window slams shut for everyone. And when that happens the whole world will focus on football and Arsenal will have an away day to Cardiff to contend with. Hopefully we’ll see Laca from the start along with Auba because I feel like those two could form quite a potent duo if they’re given enough minutes together on the pitch. It’s radio again tonight for myself, Giles and Dave and we’ll once again be doing the Little Bit Arsenal show again tonight at 7pm until 8.30pm on LoveSport Radio which you can find via London DAB digital radio by searching for ‘LoveSport’ or via 558AM. If you fancy calling in then do it! We want to hear from people and we want you to tell us what you think.